The Seaford collection takes you back in time with early 20th-century industrial style. 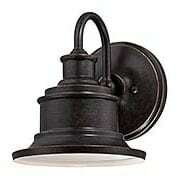 This sconce's recessed bulb is weather protected, and the broad shade helps focus the light where you need it. What a great addition to an out building or country house. The Seaford collection takes you back in time with early 20th-century industrial style. Available in a bronze finish, this sconce's recessed bulb is weather protected, and the broad shade helps focus the light where you need it. What a great addition to an out building or country house. The Seaford collection takes you back in time with early 20th-century industrial style. Available in imperial bronze finish, this sconce's recessed bulb is weather protected, and the broad shade helps focus the light where you need it. What a great addition to an out building or country house. The Seaford collection takes you back in time with early 20th-century industrial style. Available in a bronze finish, this pendant's recessed bulb is weather protected, and the broad shade helps focus the light where you need it. What a great addition to an out building or country house. 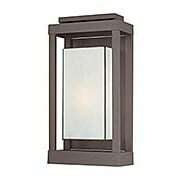 With clean lines and crisp angles, the Powell post light is a stylish addition to your exterior landscape. Unique and unadorned, it features a rich bronze finish and striking white glass shade. Made of weather-resistant aluminum, this low-profile design offers long-lasting wear. With clean lines and crisp angles, the Powell Exterior 20 1/2-Inch Wall Sconce is a stylish addition to your entry or hall. 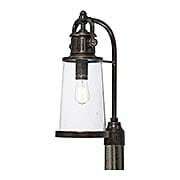 Unique and unadorned, it features a rich bronze finish and striking white glass shade. Made of weather-resistant aluminum, this low-profile design works both indoors or out. 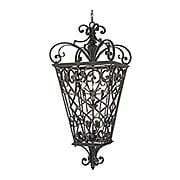 With clean lines and crisp angles, the Powell Exterior 17-Inch Wall Sconce is a stylish addition to your entry or hall. 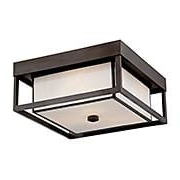 Unique and unadorned, it features a rich bronze finish and striking white glass shade. Made of weather-resistant aluminum, this low-profile design works both indoors or out. The Marine collection displays vintage nautical flair. 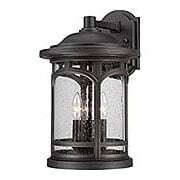 Made of weather-resistant aluminum, the frame of this outdoor post light features a rich bronze finish. 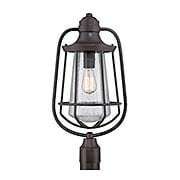 Its cage design protects the seeded glass shade and edison-style bulb. 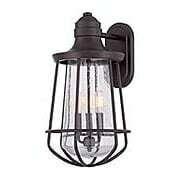 The Marine 20-Inch Exterior Wall Sconce displays vintage, nautical flair. 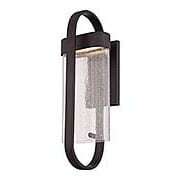 Made of weather-resistant aluminum, the frame of this wall-mount design features a rich-bronze finish. 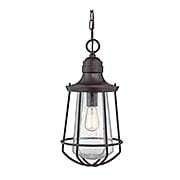 Its cage design protects the seeded glass shade and edison-style bulb. 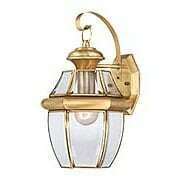 The Marine 11-Inch Exterior Wall Sconce displays vintage, nautical flair. Made of weather-resistant aluminum, the frame of this wall-mount design features a rich-bronze finish. 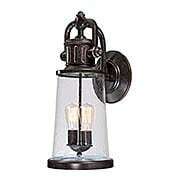 Its cage design protects the seeded glass shade and edison-style bulb. 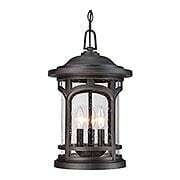 The Marine 11-Inch Outdoor Lantern displays vintage, nautical flair. 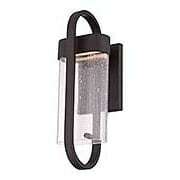 Made of weather-resistant aluminum, the frame of this wall-mount design features a rich-bronze finish. 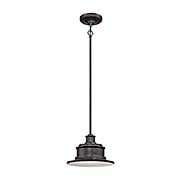 Its cage design protects the seeded glass shade and edison-style bulb. The Marblehead collection brings a rich, masculine style to your outdoor decor. 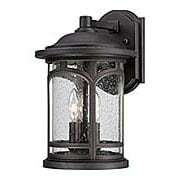 Stately in form, this lantern's arches give the clear, seedy-glass panels a window like appearance. Especially designed for coastal environments, its weather-resistant, metal construction ensures long-lasting wear. The Marblehead collection brings a rich, masculine style to your outdoor decor. 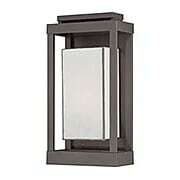 Stately in form, this post light's arches give the clear, seedy-glass panels a window like appearance. Especially designed for coastal environments, its weather-resistant, metal construction ensures long-lasting wear. 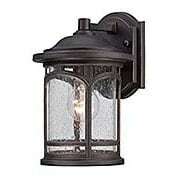 The Marblehead 17 1/2" Outdoor Wall Sconce brings a rich, masculine style to your outdoor decor. Stately in form, its arches give the clear, seedy-glass panels a window like appearance. Especially designed for coastal environments, its weather-resistant, metal construction ensures long-lasting wear. 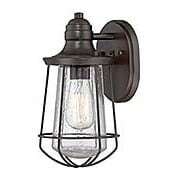 The Marblehead 14 1/2" Outdoor Wall Sconce brings a rich, masculine style to your outdoor decor. Stately in form, its arches give the clear, seedy-glass panels a window like appearance. Especially designed for coastal environments, its weather-resistant, metal construction ensures long-lasting wear. The Cooper Collection outdoor light is based on colonial "onion" lanterns from the New England coast. 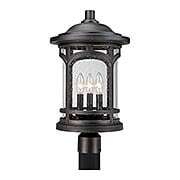 Originally hand-crafted in tin or brass, this modern reproduction is updated in weather resistant aluminum with a classic black finish. The shade is clear seedy glass, which adds an authentic, old world touch. 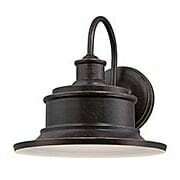 Wet rated for exposed exterior use, it's a period perfect accent for your colonial style home. 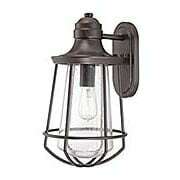 The Steadman Entry Pendant Light gives your exterior added beauty with its industrial design. 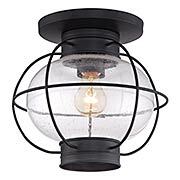 It features a vintage, Edison-style bulb for a historic look and a clear, seedy-glass shade. A rich, imperial-bronze finish completes this handsome ensemble. 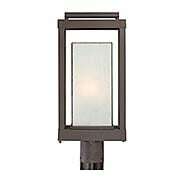 The Steadman Extra-Large Outdoor Wall Sconce gives your exterior added beauty with its industrial design. 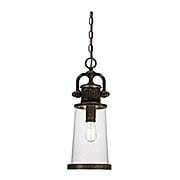 It features a vintage, Edison-style bulb for a historic look and a clear, seedy-glass shade. A rich, imperial-bronze finish completes this handsome ensemble. 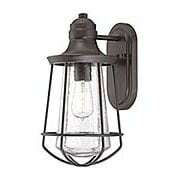 The Steadman Large Outdoor Wall Sconce gives your exterior added beauty with its industrial design. 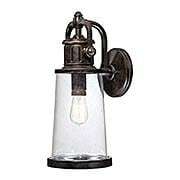 It features a vintage, Edison-style bulb for a historic look and a clear, seedy-glass shade. A rich, imperial-bronze finish completes this handsome ensemble. 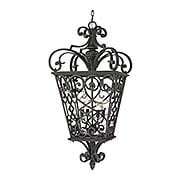 The Steadman collection of fixtures gives your exterior added beauty with its industrial design. 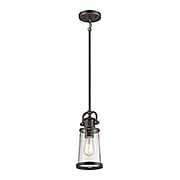 This mini pendant features a vintage, Edison-style bulb for a historic look and a clear, seedy-glass shade. A rich, imperial-bronze finish completes this handsome ensemble. When it comes to curb appeal, outdoor lighting plays a large part in creating that special ambiance. The classic design and beveled glass of the Newbury gives the outside of your home a rich elegance, and it's versatile enough to coordinate with most architectural styles. Choose from six popular finishes.